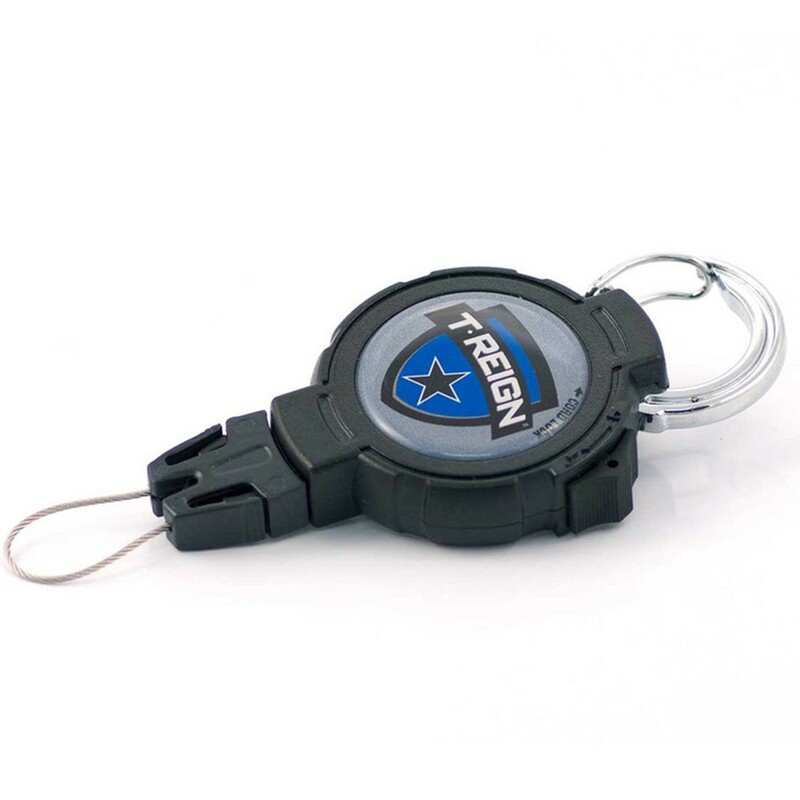 TReign 36 inch Polyster Cord..
TReign piece of 2 Mini KeyBa..
TReign Self Retracting Key R..
TReign 24 inch Chain Key Ree..
TReign HD Carabiner Black Pa..
"Standard Duty - 36"" Nylon Cord / 2 oz. 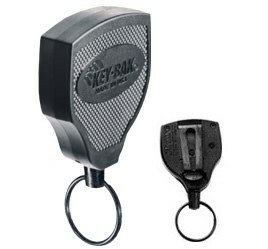 / 3 Keys Heavy Duty - 24"" Nylon Cord / 4 oz. 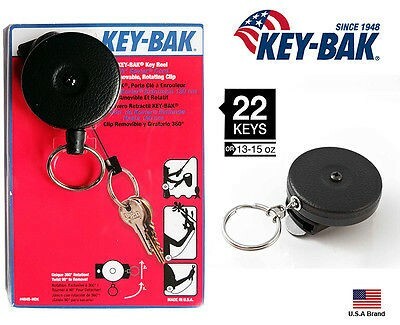 / 6 Keys 1-1/4 inch diameter polycarbonate case Available with a belt clip or swivel clip attachment Great for Nurses and Doctors"
"Belt clip options fits belts up to 1.8"" and locks with the included pin Leather Loop options fit up to 2.25"" duty belts Over sized 1-1/4 inch black split-ring Black 2-1/4 inch wide durable polycarbonate case"
"Stainless Steel Spring in a 2"" durable stainless steel case 1.25"" Zinc-plated, spring-tempered steel, corrosion resistant split ring"
TReign Heavy Duty Retractable Gear Tether with Carabineer attachment OTRO215 "
Recommended for use with: range finder, binoculars, multi-tools, flashlights, tools, other optics, and much more. Olive Green,Secure your Gear with Confidence! 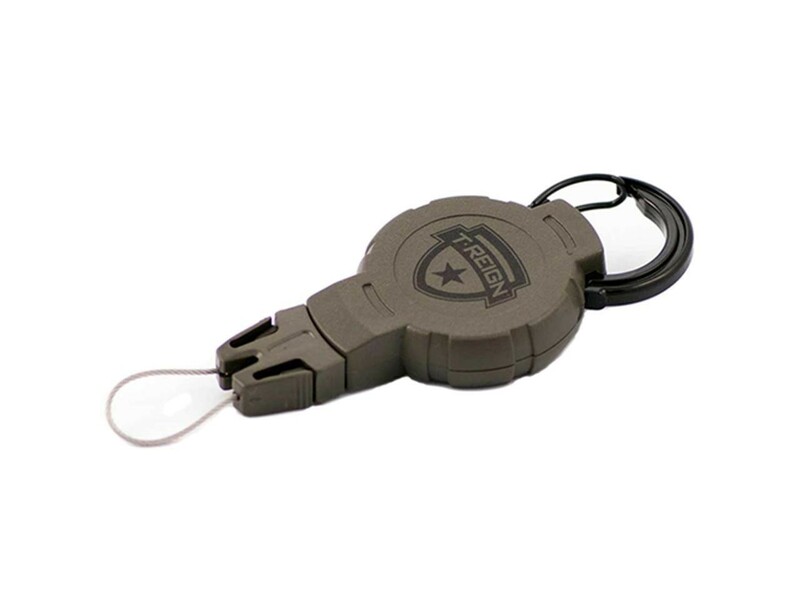 "Quick Disconnect Gear Attachment Rugged Weather Resistant Polycarbonate Case Lightweight and Compact Color: Black Carabiner"